A PVD is a separation of the vitreous jelly inside the eye from the retina. It’s a normal part of the ageing of the eye, and in most cases causes no problems. 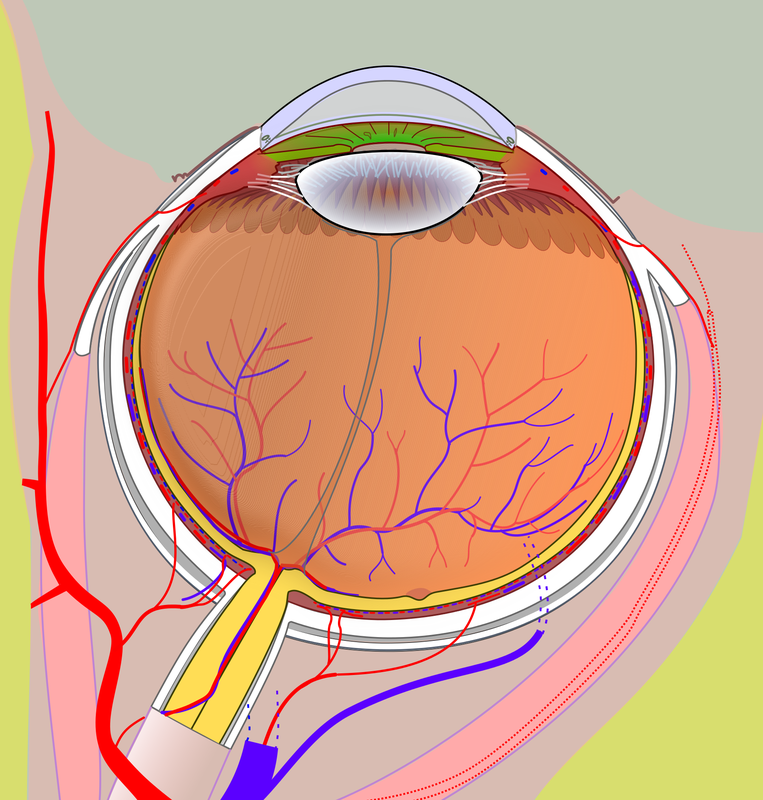 The eye is filled with jelly, and this jelly is contained within a membrane which lines the retina. In fact, the jelly is the scaffolding around which the eye develops in the embryo (think papier-mâché pasted onto a balloon). Once the eye is complete the jelly is redundant, but it can’t escape the eye. As we go through life the jelly shrinks and changes consistency, and eventually it peels away from the retina. For many people, none at all: it’s quite common to find that a patient has already had a PVD and was unaware of it. The commonest symptom is that of ‘floaters’: because the jelly is now free to move inside the eye, it casts shadows on the retina which are seen as floaters, particularly against a bright sky or a high-contrast background. These can be distracting at first; but with time the brain learns to filter out this information. Occasionally the jelly can tug on the retina, and this mechanical stimulation of the nerve cells creates an illusion of flashing white lights at the periphery of vision. This is often only noticeable in dim light. Rarely, the jelly tugs too hard and causes a retinal tear. Untreated, this may progress to a retinal detachment as fluid tracks through the tear and underneath the retina, stripping the retina off like wallpaper. Prompt treatment to the tear with argon laser (a different process from laser vision correction) prevents this progression and protects the vision.